Morph 3B (You may play this face down as a 2/2 creature for 3. Turn it face up any time for its morph cost.) 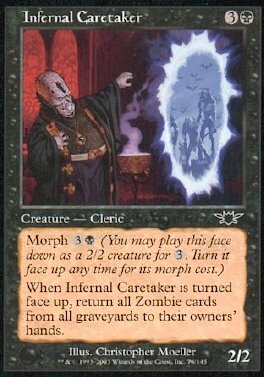 When Infernal Caretaker is turned face up, return all Zombie cards from all graveyards to their owners' hands.